Bizlia is an online business directory where users can find local businesses, buy food or book reservations at local restaurants and buy products or book services at local shops. 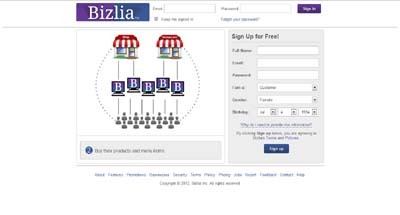 People may also use Bizlia to review their local businesses, products and services and connect with them. Yelp: You can review each item individually + business owners/managers control their own business’s information (so it’s always fresh). OpenTable: Much cheaper for local businesses to enable online reservations compared to OpenTable. Amazon: Much cheaper to sell your products through Bizlia (only 5% sales commission) + no listing fees, no sign up fees and no contracts.